The International Union for Conservation of Nature (IUCN) Global Gender Office (GGO) has long believed and invested in the transformative power of equality. 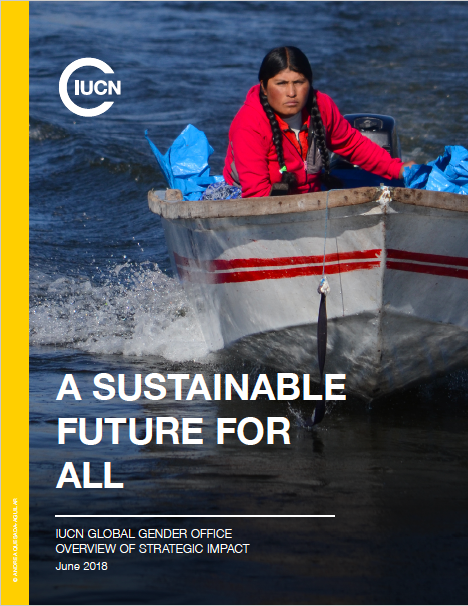 Recognizing that gender gaps and social inequities undermine conservation and sustainable development, IUCN GGO works to advance gender-responsive solutions, empowering women and men as change agents to overcome the most pressing of interlinked global challenges. This document captures some of the achievements IUCN’s Global Gender Office has generated from over the last 20+ years.